The 6MD semi-sneak Mule Deer series has been a popular form since its introduction. The great fit and look of the forms is just what you expect with a Dennis Behn sculpted form. A Free McKenzie hanger included with gamehead. Add realism to you mount with our premium quality Mule Deer glass eyes. 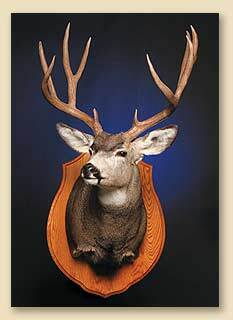 Wall Habitat®, the "Hottest" innovation in the taxidermy industry, adds interest and dimension to North American mounts. Use alone or mix and match components.